Green Monstah! Well, wouldya look at that? 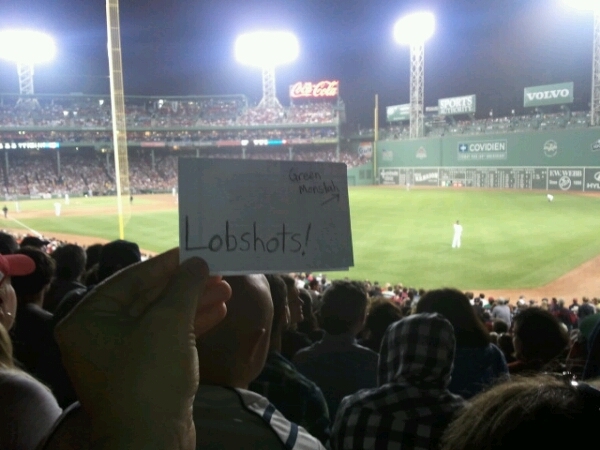 LobShots fans are making the rounds at Fenway. That’s a long way from Petco, kids…sent in by Katy who was there to see Verlander throw last night. A 100mph fastball followed up by a 78mph curve? Yes please. Or maybe she was there just to see AGon and relive the “glory days” of Padres baseball? Prolly a little of both. Any other historic stadiums this weekend? Ding ding ding! 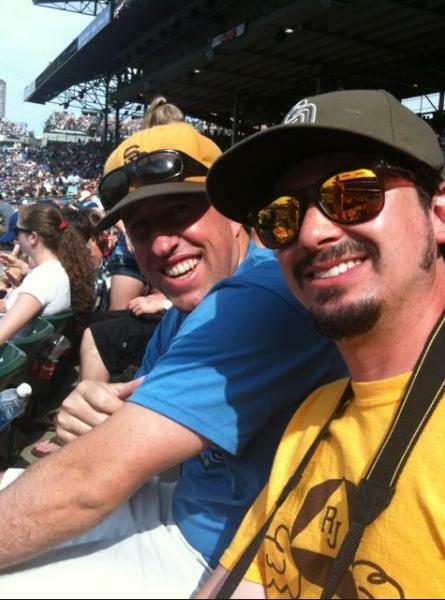 Well, well, well… if it isn’t our boy Davy, with the same crumbled up piece of trash he used at the Indy 500… representing San Diego and all of lobster nation at Wrigley Field. 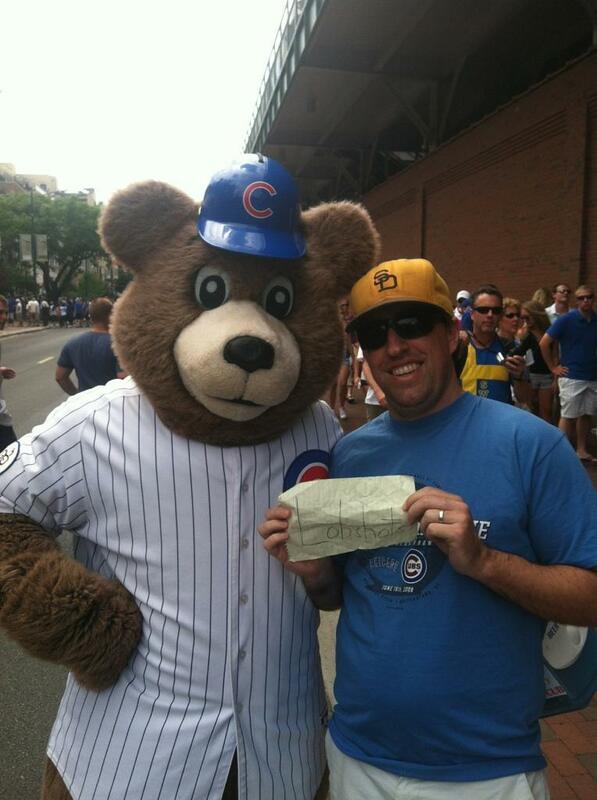 Why’s that cubby bear so happy to take a pic with a Padres fan? Because we are the best slump busters in all of baseball. Lose 12 games straight? Send in the Padres! Sweep city! Looks like, with a little nudge from your boy BP, he ran into our good friend Rick from RJ’s Fro. Win or lose… these boys know how to represent the Pads in Chicago. Certainly doesn’t have the history of Fenway or Wrigley… can’t argue with that. Keep the photos coming, and I’ll keep posting. 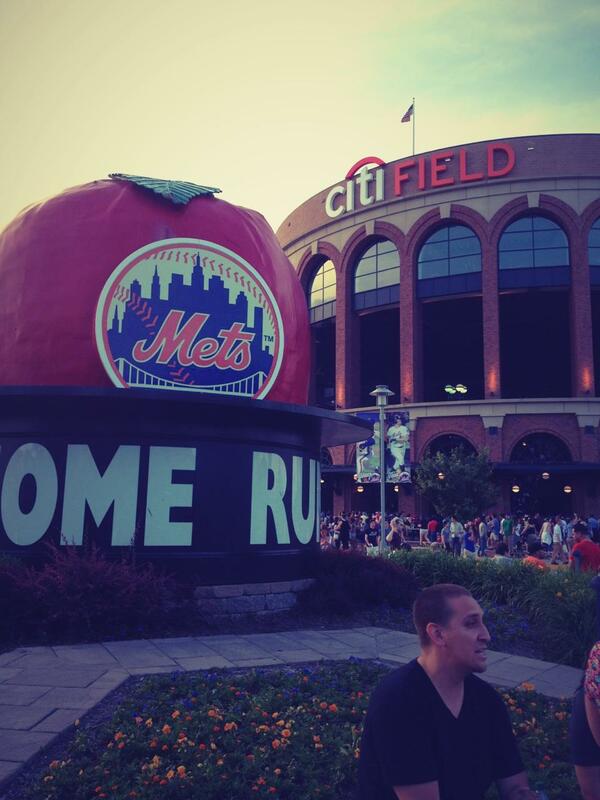 This entry was posted in Baseball and tagged citi field, fenway, lobshots signs, wrigley. Bookmark the permalink.